In many organizations, big or small, it is not unusual for the procurement function to be treated with very little regard. Other areas in the business consider procurement as a less sophisticated function, a tactical function that exists only to facilitate the acquisition of goods and services to support the day to day operations of the company or as governance gatekeeper to ensure process compliance. In contrast, successful companies with mature processes see the Procurement team as a strategic partner that directly impacts the company’s bottom line. These companies ensure that there is an empowered Procurement team – the only function with the authority to procure goods and services for the company. By restricting this responsibility, the company ensures that there is a dedicated team in the company that has an overall view of its total spend allowing it to apply a strategic approach in managing the dollar outflow. Possess a consolidated view of the total cross-functional spend to improve spend management. Be the dedicated team to understand cost drivers, cost levers and the impact of sourcing decisions, maximizing value for money and driving cost efficiency. Have a strategic mindset on spend management with the objective of achieving total enterprise benefit rather than benefit of just one or the few. Have ability to protect company’s interest, ensuring consistent alignment between sourcing decisions, supply chain strategy and organisational needs. Hold the best leverage to obtain the best value for the company as a result of an enhanced procurement capability and a stronger supplier relationships. Dedication in understanding the impacts of sourcing decisions. Enhanced understanding of supply chain risks; less reactive decisions. 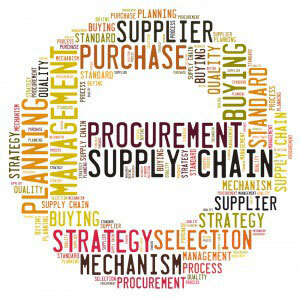 By driving these crucial attributes to develop and advance, coupled with the implementation of robust processes that allow checks and balance, Procurement will be in a better position to perform a strategic role, and thus increase appreciation of the relevance of Procurement in the organization.